Copper is a reddish metal that can easily be processed. Suitable for furniture, architecture, interior design, signage, etc. Can be used for outside purposes without treatment. Our copper is blank on the top side and is delivered without protective film. Therefore, small markings can appear on the surface after the laser cutting. 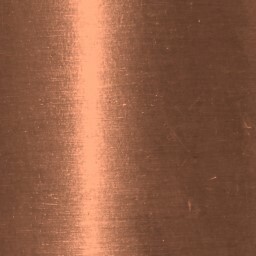 Unfortunately, it is not possible to laser engrave copper. Bottom side – Small scratches can appear from the foundation from which the plate is laser cut. Soot markings can appear. These can easily be wiped off. Copper is relatively soft and can easily be bent by hand. It is possible to polish copper to get a completely blank surface after the laser cutting.